The main goal in traditional acupuncture is to bring about balance and harmony, which also relieves pain and discomfort to allow the body to work optimally. It also releases neuro-chemicals, which may help relieve the effects of stress and bring about an increased state of calm. Esoteric acupuncture goes a step further. Rather than focusing on the physical, the emphasis is on the spiritual. The needles go into traditional locations in specific sequences very gently. They are left in place for about 40 minutes. Often the individual knows when the treatment is complete because they feel the energy change. Each treatment is unique, but there are some similarities between people. Overall, the treatments seem to induce a deep relaxation as in various meditation techniques. At the same time, there is a sense of something happening within and around the body. This may sounds strange until you have experienced it. 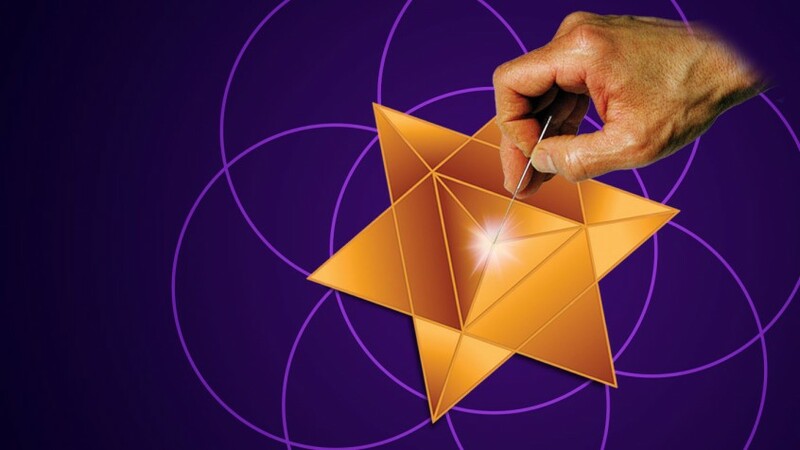 Esoteric acupuncture uses sacred geometry and wisdom traditions, but it is not necessary to have any particular belief system in order to access the benefits of this work. To get the most out of a treatment, it is helpful to drink plenty of water, eat the most healthy food available to you, and set your intent to explore and raise your consciousness to reach your maximum potential. It is ideal to stay awake and aware during your treatment. Any process work (like meditation and mindfulness) you do between sessions may make your treatments even more effective. There are five harmonizing patterns, then seven chakra patterns, which are designed to prepare you for new encoding patterns. The harmonizing patterns include one for clarity, one to harmonize the head and heart, one to promote energy flow in the back and another for the front of the body. The fifth is to increase the energy in the palms of the hands and is especially helpful for those who use touch to promote well-being in another. The individual and acupuncturist decide together which pattern is appropriate for that particular day. If you choose to experience esoteric acupuncture, just relax and enjoy the opportunity to go deeply into your Self and access wonderful well-being. For more information, go to esotericacupuncture.com.